D House at Mumbai, by Sanjay Udamale Architects - ArchitectureLive! 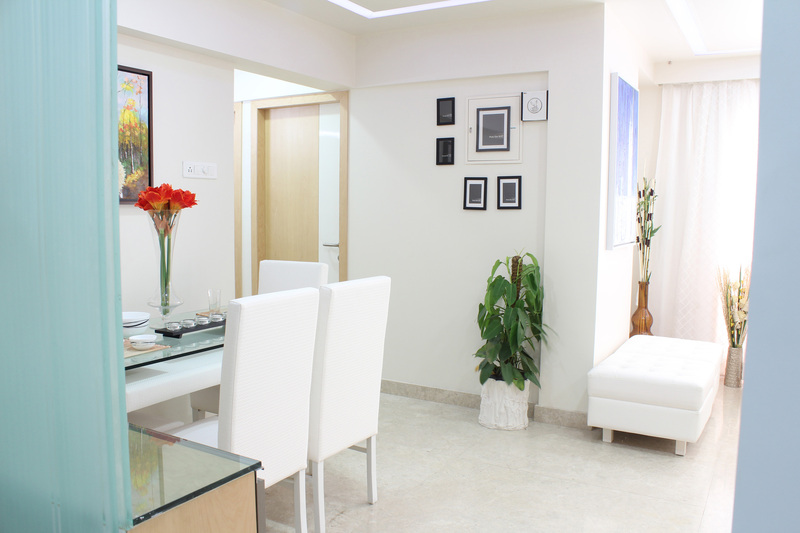 The 3BHK house is for a four member family. The location is at 13th floor with interesting views of the city. The design explores quietness & joy through space, natural light, cross ventilation, materials & colors for creating pleasant and refreshing ambiance of the house. The house offers different moods with the change of the natural lighting conditions. 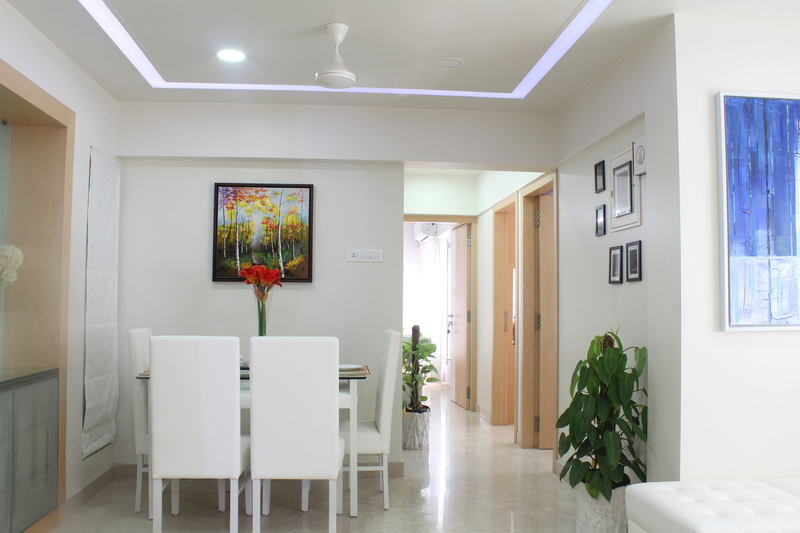 The living hall is combined to dining area and the dining overlooks adjoining kitchen. The compact and fully equipped kitchen is close to the entrance. 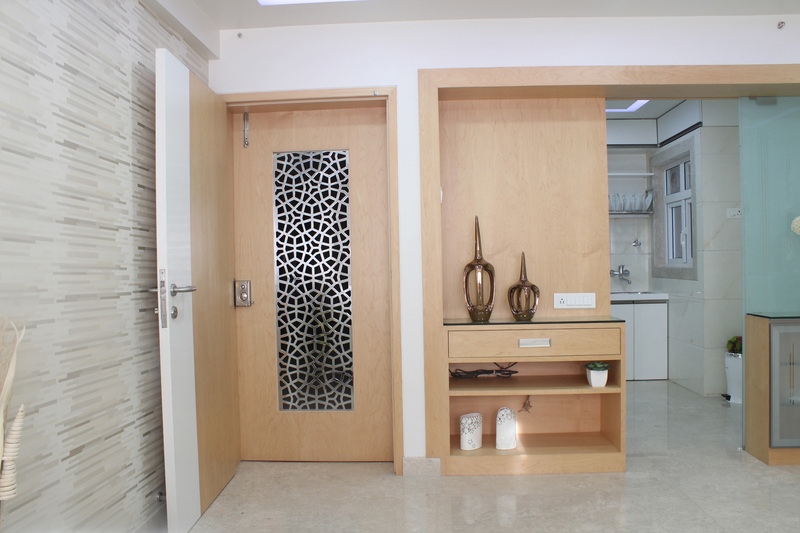 The main door welcomes the visitor and one of its shutter has stainless steel mesh – which also helps free air movement through living area. All spaces have two windows for cross ventilation. 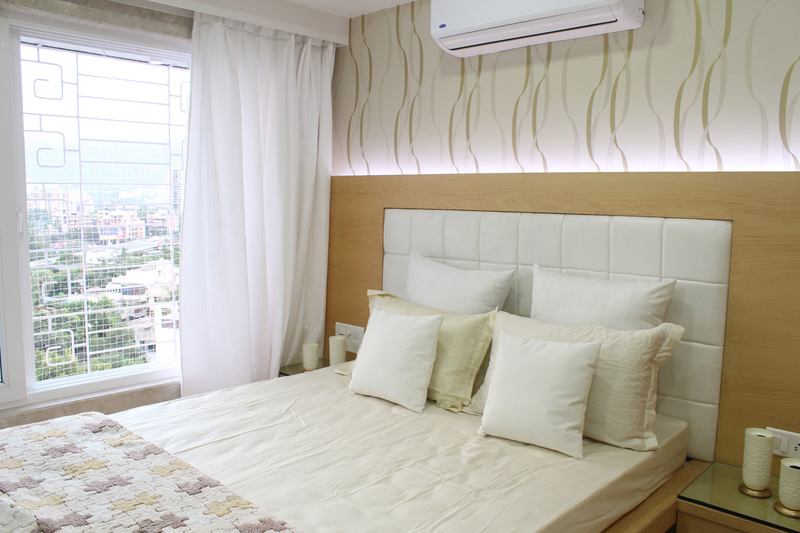 The master bedroom and other rooms have the wonderful city views and the Hills beyond.Consisting of the young children’s 2 bedrooms have minimal provisions – consisting of bed, study table and wardrobe. The main window of the Living & Bedrooms is framed to form picture window- wherein the picture changes every moment. 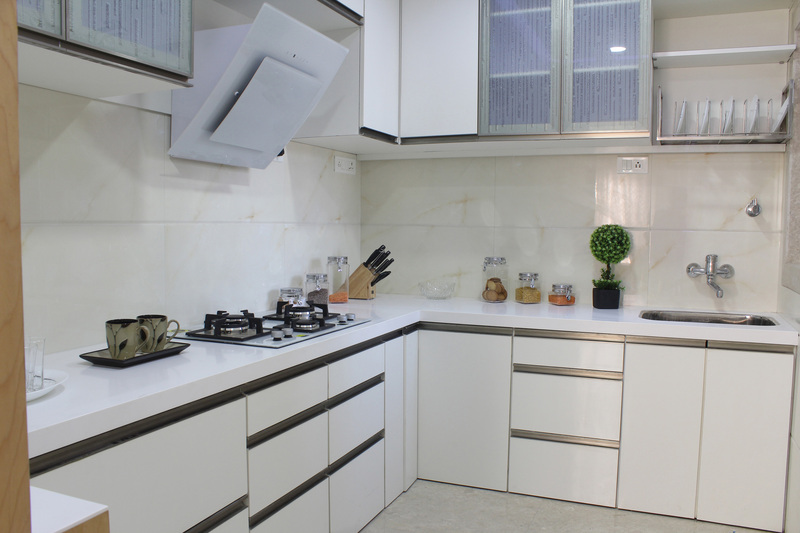 The Kitchen has white metallic laminates and white acrylic platform top with white ceiling makes a sleek color combination. 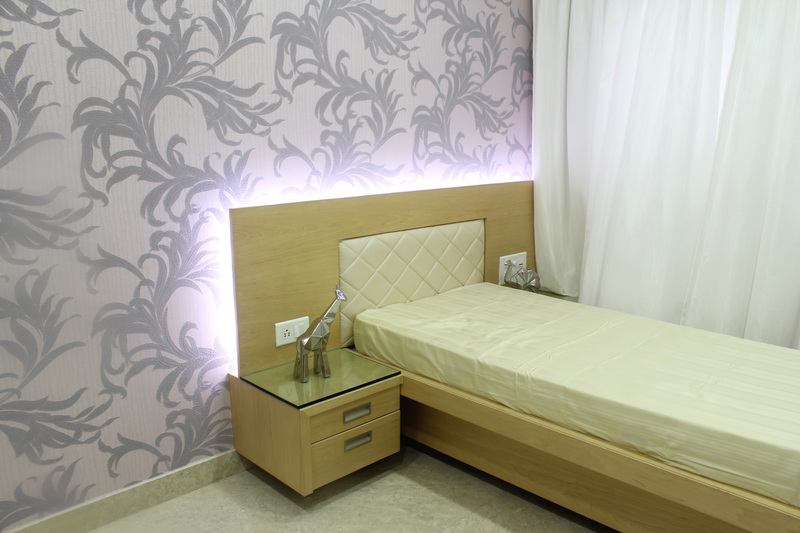 Each room has one wall adorned with wall paper finish. 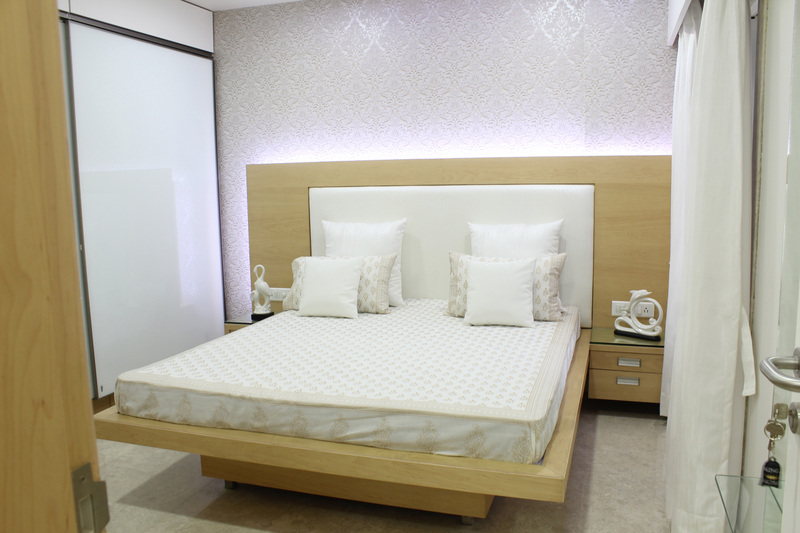 Minimal colors are used like the white walls & ceilings, cream color engineered marble flooring and natural warm wood veneer finish. 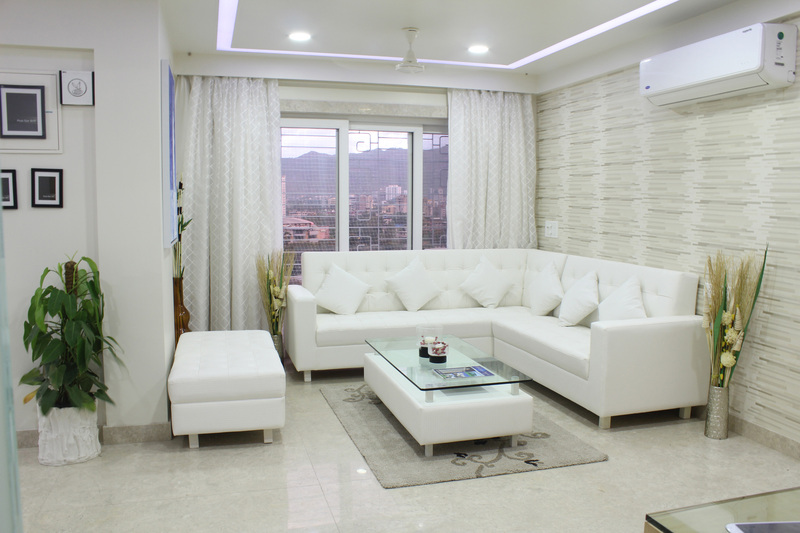 the bright sunlight and breeze makes the space pleasurable for all seasons of the year. Everyday the rooms are filled with refreshing light. For heat, dust and sound insulation white Upvc windows are used. The white curtains soften the natural light. Overall the house creates a silent atmosphere with natural light. The spaces for people are for constant dialogue with inside and outside, kind of subtle dance between inside house in the mind of the inhabitant and the universe outside at every moment throughout the day.